Sign up and get a coupon for a free appetizer with two adult entrées. - 20% discount to all police, firemen, and veterans in uniform. Print coupon for a $10 discount on your catering order. Print page for a $3 discount on any fajitas. 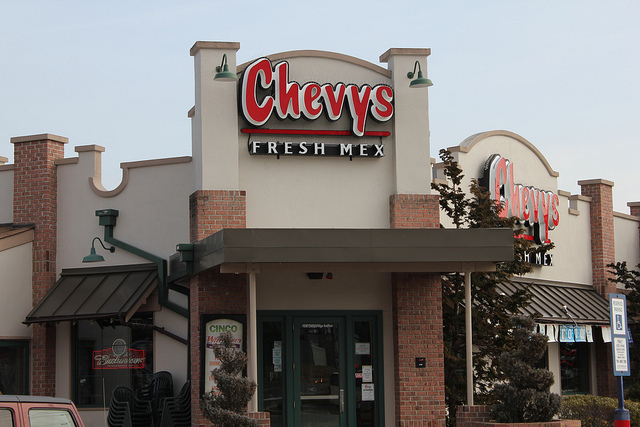 Valid for dine-in food purchases only at participating Chevy's Fresh Mex restaurants. See page for more details.